1 β-Blockers in COPD: A Cohort Study From the TONADO Research Program. 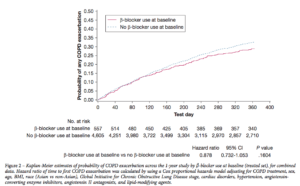 β-Blockers in COPD: A Cohort Study From the TONADO Research Program. Chest. 2018 Jun;153(6):1315-1325. doi: 10.1016/j.chest.2018.01.008. Epub 2018 Jan 31.